Playground equipment built for public use. Offering a place to exercise in the park. Find affordable tree house inspired playgrounds. Browse our national and local database of grants. What's the difference? Quite a bit actually. Why choose us? We have a few reasons. At PlaygroundEquipment.com, we continuously provide bigger, more fun play experiences for children across the country with our high-quality, commercial-grade school playground equipment. Our motto, “Big on Play … Low on Price,” guides us every day and helps us focus on our goal of providing affordable, durable children’s playground equipment for sale at great prices. You may ask, how do we do it? We provide endless opportunities for fun and play through our wide array of quality residential and commercial playground sets. Our commitment to quality ensures that kids get the most out of their playgrounds. As online play equipment suppliers, we partner with top-rated commercial playground equipment manufacturers to ensure that you get the best products available. We only use high-quality metal, plastic, recycled plastic, and wood for our park equipment and playground supplies. All of our plastic children’s play equipment is made with standard UV inhibitors that increase the lifespan of the product and protect it from cracks and deterioration. Each of our playground structures is IPEMA-tested and meets all ASTM and CPSC standards to ensure that we offer only products that can stand the test of time! Safety is a very important factor to consider when buying anything for children. Playground equipment is no exception! It has always been our priority to adhere to the national standards for safety and quality set for home and school play equipment by the U.S. Consumer Product Safety Commission (CPSC). And you can rest assured that each of our products intended for kids with special needs is compliant with the Americans With Disabilities Act for a safe and accessible play environment. Our wide product range is always expanding as we add new and innovative playground equipment, giving you nearly unlimited choices so you can build the perfect playground for your residential or commercial property. We have an exceptional team of industry experts available to assist you in choosing the product that is right for your space, regardless of the location or project budget. We stock playground items for kids of all ages, including infant and toddler equipment, play sets for preschoolers, and playground systems suitable for children in elementary school. We even carry fitness equipment for older students. 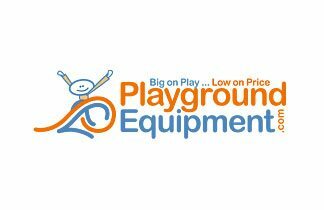 At PlaygroundEquipment.com, we carry only the most durable, safe, and competitively priced products from our playground manufacturers. This ensures that our customers will have the best selection of commercial-grade playground equipment to choose from. 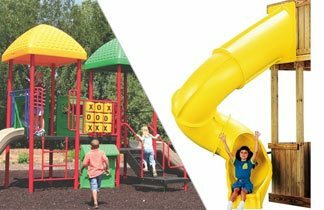 Whether you want to build themed playground sets or buy unique types of playground equipment, we offer everything you need, including slides, crawl tubes, swing sets, balance beams, merry-go-rounds, and climbers. And our playground equipment for schools and day-care centers is also well-suited for use in public parks or even your own backyard. Want a play-ready playground? Browse our selection of children’s playground equipment and find complete play kits and themed playgrounds, making ordering and installation easy! We also carry park and site amenities that add safety and convenience for you and your children. At PlaygroundEquipment.com, we offer quick shipping on in-stock playground units and make sure that your product is delivered in excellent condition. We use several shipping methods, including freight (YRC, SAIA, Estes, and more) for larger items. We partner with UPS, FedEx, and USPS for smaller items. Rail is used for coast-to-coast deliveries of bulk items, such as rubber mulch. Let us know which shipping method you prefer and we’ll do what we can to get your order to you as soon as possible. Keep in mind, though, that shipping times can vary depending on the product, since some of our items are custom-made to order and can take two to four weeks to produce. When you buy residential, commercial, or school playground equipment from PlaygroundEquipment.com, your satisfaction is our top priority. Don’t hesitate to send us any questions or concerns about your order: We’re happy to answer any questions you may have about our products or about how to build the perfect playground. Our friendly team of certified playground safety inspectors will guide you through the entire ordering process. Ordering online is simple and fast! 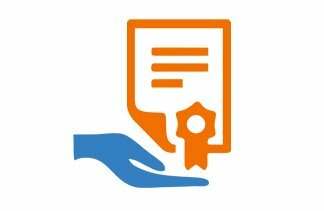 And if you receive a defective product, we’ve got you covered with our warranty program: We guarantee 100% satisfaction. And we have reliable representatives across the country as well as in Canada and Mexico, so we’re here for you no matter where you are. We’d love to hear from you! Get in touch with us by email, phone, or our live online chat today to request a catalog, get a free quote, or receive details about our products. We’re here to help.